How to convert EML to PST for easy import to Outlook? You are here: CoolUtils > Total Mail Converter > How to convert EML to PST for easy import to Outlook? 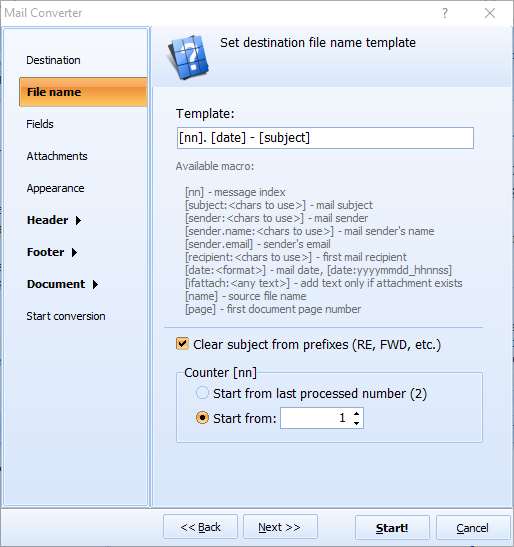 Converting email files to a PST format became possible with Total Mail Converter. 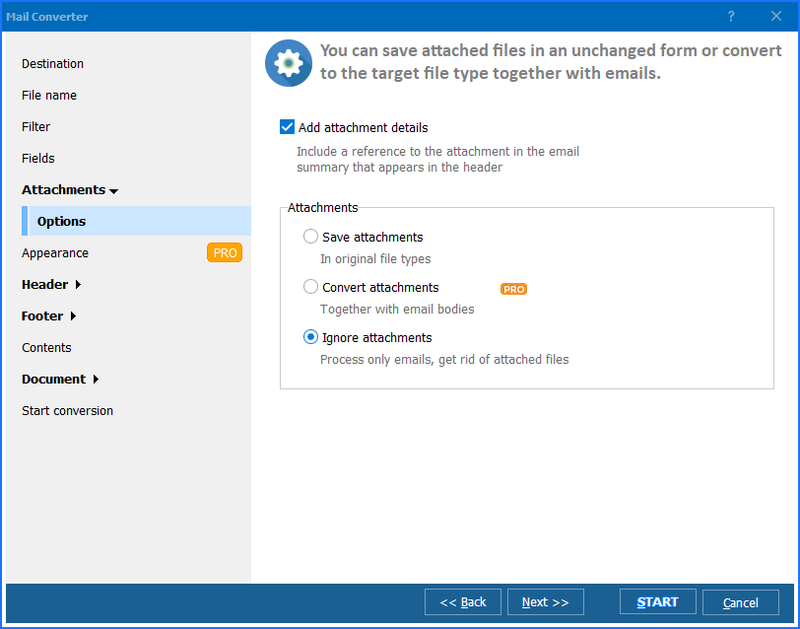 This converter allows you to import emails to Outlook directly and use them inside as regular messages (reading, resending, etc.). This export is simply impossible without specialized converter. Having Total Mail Converter you will easily turn this process into a quick and simple procedure. User is not required to have any specific skills. First of all, you need to understand how to convert EML to PST. The program exports information from original files into the target format. To make program know what files to convert, you need to select EML original files in the integrated file browser. After this step you need to enable PST converter by pressing the 'Outlook PST' button at the top of the window. There is a target format panel for choosing the desired file type. The settings for PST conversion contain only the 'Destination' parameter. You can perform a single file conversion that means converting one file per time. It is not an option, when there are a lot of EML files in a queue. For this case convert EML to PST in batch. Total Mail Converter will produce one PST file containing every EML source. By the way, you can view the content of EML files directly in the program. 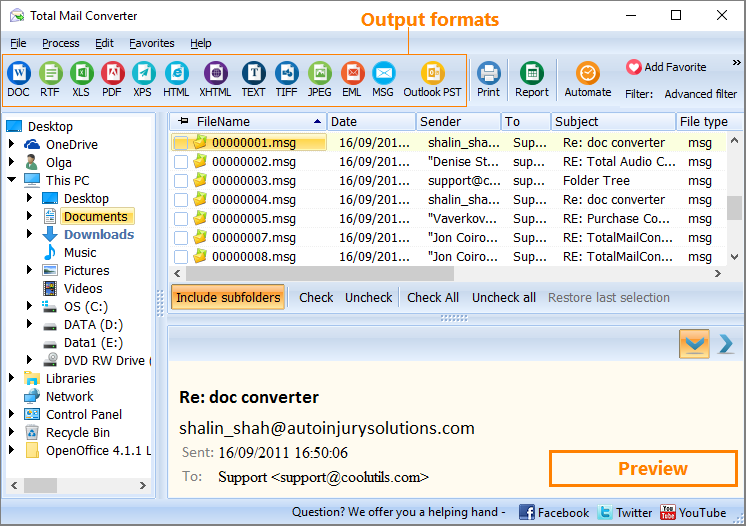 It features a file viewer that display files of supported formats (EML and MSG). Original emails can be viewed in HTML or text view. 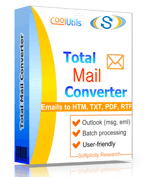 Download trial Total Mail Converter and enjoy free conversions for 30 days! How to convert Email to PST format?